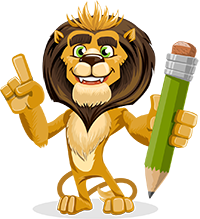 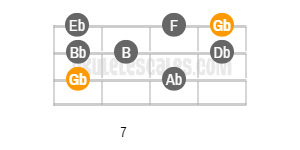 The major scale is certainly the most important scale in music (at least for Western music) because it is used in many styles like Pop, Rock, Hard Rock, and Jazz. 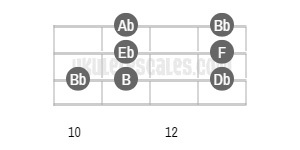 A large part of music theory and harmony in general is based on this scale and its construction. 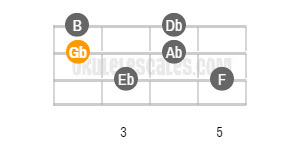 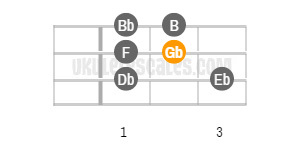 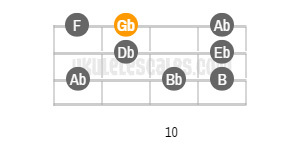 You'll find below the 5 different positions/shapes of the Gb Major Uke scale in Standard Tuning (gCEA), along with their ascending tab patterns.